Flash-upgradeable, wireless, and compatible with almost every Z-Wave product, the Honeywell L5200 is the most full-featured security system ever released. The Honeywell L5200 is the newest security system released by Honeywell. Replacing its predecessor, the well-known L5100, The L5200 has some welcomed new features to the LYNX Touch line of wireless security products, including the ability to view film on the system's new, bright, high-resolution LCD screen. The L5200 has the ability to be monitored over WIFI or GSM, or, if you'd prefer, it can be monitored using both pathways for additional security. Designed with the end-user in mind and not just installers, like some of the more complicated wired panels, the L5200 is simple to program and install. It is capable of monitoring 84 total zones, just like its slightly more robust wireless contemporary the Honeywell 7000. The unit is a full-fledged system with Honeywell's legacy in mind, continuing the company's commitment to Z-Wave technology. With the simple addition of the L5200's z-wave module, this unit can easily be made the brains of your home, controlling both your security and satisfying your home automation needs. As more details become available, more will be added to the description of this product. Not only is the L5200 an excellent security system, it also caters to almost every aspect in your home such as lighting, temperature, door locks, garage doors and even water valves! When I "arm away", all of my interior lights turn off. The lights are also on a timer with the alarm panel so I never come home to a dark house. 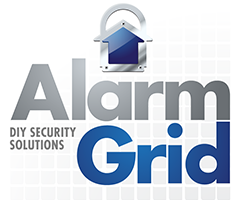 This system with AlarmGrid is extremely powerful and practical. Is a Brinks Door Sensor Compatible with a Honeywell L5200? How Do I Turn Off Arm-Confirm on a Honeywell L5200 Alarm System? How Do I Use the Qolsys IQ Siren with a Honeywell LYNX Touch? Thanks! Got it turned off, and it's green and ready to go! I'm checking with my insurance to see what kind of discount I'll get if I get the monitoring. Thanks for the info! The best way to tell is to access installer mode (this FAQ will help - https://www.alarmgrid.com/faq/how-do-i-get-back-into-programming-if-i-am-locked-out-on-my-l520) and then check the Communicator section of programming to see if there's any Communication Path or information on that page to indicate it's set to communicate with an alarm company. If you don't have a land line, it won't communicate out via the phone signaling path but the system could have a WIFI and/or cellular module installed. Let us know what the Communication Path shows in the Communicator page of programming and we can help from there. Thanks for the help, got the master code reset. I haven't checked if they changed the installer code yet or if it is default still. My question now is, we want to try and self monitor for awhile and see how it goes. We haven't signed up with any monitoring companies, but previous owners did. Of course, they aren't active now. I still have this fear of using the system to self monitor and it ends up calling some previous Central command someplace because that's what it was programmed to do. We don't have a landline. No idea if it has cellular or not, but we're not paying for anything. So, my question is, will the system make any calls at all if we use it for self monitoring if we haven't signed up for service anywhere? I just moved into a home with a Lynx Touch L5200. I'd love to be able to use it, but they previous owners didn't leave any codes. Is there anything I can do to make it so we can use it? It's still working, telling us a battery is low in Scott's room (we don't know which room that is though). I don't want to mess with it much since we don't know the codes. Hi Tom, when you click on Configure WIFI, you should then see an option to Scan. When you do, you'll see your network SSID (Name) pop up in the display. Click on it and press Edit. You'll put your password in where it says "Key" at the very bottom of that screen, not where it says Infrastructure. Once you enter the Key, and remember it is case sensitive, press Save or Done, I can't recall exactly how it's worded, then click on "Join" you should get a message telling you the device was successfully added to the network. Attempting to connect L5100 to net. Unit displays WiFi ID, but has exclamation point on symbol. Will not allow me to input password at infracture button. The red exclamation is always lit since this is a panic button. That has nothing to do with the display not working. The screen is completely blank all the time but you can still arm/disarm from the app? Have you tried rebooting the panel yet? Is the system displaying a red exclamation point on the screen or are you asking about the actual button on the front of the system with the red exclamation point? I'm glad to hear it charged as expected. Typically, a new battery won't be discharged as much as a battery that was in use for a 7 hour outage. Thanks! I checked again this morning and the message was gone. The manual mentioned new batteries needing 4 hours to charge for the first time, so I was starting to wonder if I'd need a new one. The system will recharge the battery but it's a very slow trickle charge. It can sometimes take up to 24 hours for the battery to recharge after it's drained. You should be able to clear the Battery Low message with a disarm once it's fully charged. Our power was out for about 7 hours today, and our L5200 ended up with a Low Battery message that I can't get to go away, even more than 3 hours with the power back on. I found this in the manual: "In the event of an AC power loss, the LYNX... is powered by a rechargeable... battery pack. The battery pack should be replaced when a “Battery Low” message with no zone number is displayed" Does that mean my battery is dead and won't recharge? Is that normal after less than 2 years of use? Perfect that was it. I set it to 30 seconds and it went out, and the best part about this interaction is that you led me to the next step which is how to program the ! to do what i want it to. Sterling. Thank you. You are most helpful! Are you asking about the red triangle panic button underneath the touch screen? If so, that is lit up unless you have the Keypad Backlight Timeout feature enabled and is not indicative of any issues with the system. It's just showing you what to press when you have an emergency. Pressing and holding the panic button should show you various icons on the screen to choose the proper response you need. If you go into Security, what are you seeing listed under the "system" folder? The exclamation is a trouble so it could be a tamper cover that was opened on a sensor or the panel. Try pressing the home button beneath the touch screen and enter your master user code. Do this twice. If the trouble is no longer an issue this will clear it out. If the trouble error still exists (i.e. the panel cover is not shut all the way) then the trouble will persist until it is resolved. You can connect the L5100-WIFI and use Total Connect 2.0 service with one of our Self Monitoring plans at the bottom of our sign up page - https://www.alarmgrid.com/monitoring There is no way to get Total Connect 2.0 without paying some monthly fee though. Can i connect this with the wifi module and use total connect with out a separate monitoring company? Does this come with the GSM module installed, or would that need purchased separately? The switch was "not available" as a device to choose a function from in the scene? or the function of the device was not available? I created a scene to turn on my yard lights and set it up to turn them on at a certain time of day. I then tried to create a scene to turn OFF the yard lights but the switch is not available on the screen. Am I doing something wrong to have me L5200 turn lights on and off to make it look like I am home or is this thing just to create "the mood for romance" with one command? Can I set up my L5200 to flash my porch lights when the medical or fire alarm is triggered? I have the Zwave connection to the light switch but I can't seem to figure out the rules/scene to do it. I just emailed you the installation guide. Let us know if you have any other questions. Thanks for yet another prompt reply. I'm loving how quick you guys are to answer questions! That installation guide definitely looks helpful. Would have been nice if it came with my system, instead of the "quick install" sheet. Is there any way to print the installation guide or download it in a PDF format? Page 9 of the installation guide - https://www.alarmgrid.com/documents/honeywell-l5200-and-l7000-installation-manual-and-setup-guide lists the wire gauge and length limits. As long as you don't exceed these limits, you can certainly provide your own wire. I watched the video below posted by Frank, and I think I answered my own question. It sounds like Honeywell doesn't include the wire because they assume the installer will supply their own, correct? What are the specs on the wire that should be used? I have lots of random wires hanging around, so I'd like to see if any of those work before Spending $15 on the LT cable. Just received my L5200 system today. Is it supposed to have a power cable? It came with the power adapter, but there's no cable to connect the adapter to the panel. If you use our LYNX-EXT - https://www.alarmgrid.com/products/alarmgrid-lynx-ext, you can wire up any wired outdoor siren and have it activated by the LYNX Touch system. Are there any outdoor sirens that can be used with this system? I found the 5800WAVE, but it appears to be indoor only. In order to run an outdoor siren it requires a power supply, transformer and battery backup. We offer a kit for the L5200 - LYNX-EXT: https://www.alarmgrid.com/products/alarmgrid-lynx-ext. If you already have these items from the kit for the current setup you can reuse them. I have a First Alert Professional Readyguard system. I want to upgrade to the L5200. Can I use the outdoor siren? Do I need any additional parts? No, you can't hook up smoke detectors to zone 1. The hardwired zone won't allow you to program it as a fire sensor. Since the Lynx will support a hardwire zone (https://www.alarmgrid.com/faq/how-do-i-setup-a-hardwire-zone-on-honeywell-l5200), Could I use my smoke alarm circuit as this zone? Smoke alarms go to a relay that is NC, when it opens on alarm this zone triggers. The Lynx doesn't know what is on the zone specifically, just that it is "zone 1" and that it has alarmed, correct? Yes, you will want to use the 5853 wireless glass break sensor (https://www.alarmgrid.com/products/honeywell-5853) for the L5200. It has a 25 foot radius of detection. The only way to integrate thermostats and lights is to get the L5100-ZWAVE module (https://www.alarmgrid.com/products/honeywell-l5100-zwave) and purchase Z-wave lights (https://www.alarmgrid.com/browse/z-wave-lights) and thermostats (https://www.alarmgrid.com/browse/z-wave-thermostats). Is there a clean way to install this so you won't have the power cord going down the wall?